We take joy in serving our clients from beginning to end of their transaction, and that means all the way through the move! Check out this ultimate moving check-list to ensure your move is just as smooth as your home sale with Cain Realty Group! 1. Turn on utilities: There is a very high chance the seller will be turning off all utilities the day of closing. Be sure to get these turned on before move-in to eliminate the hassle of moving furniture in the dark! 2. Setup internet/cable service: Having your home wired before the move-in makes it easier to install as well as eliminating one less time of moving furniture around. 3. Order an energy audit: An energy audit is a professional assessment of your new home's overall energy performance. This will show you how to make the best of your home's energy, so it is best to have this done before related repairs are done. This simple task can help save you a ton! 4. Do a deep clean: There is nothing more exciting than getting your new home's keys and start piling in your furniture and personal items. Although, cleaning the home from top to bottom will make the process much more enjoyable at the finish line! 5. Change the locks: This is just a basic safety measure when receiving the keys to the home. Although, it is important to wait until after the closing date. 6. Test smoke and carbon monoxide detectors: Make sure these a functioning properly in order to protect your beautiful new home and precious family. 7. Set up alarm system: While we are on the topic of protecting your family, go ahead and set up that alarm system! Safety first, decorating can wait. 8. Get a home warranty: A home warranty covers the cost of repairing many home appliances, and basic coverage starts around $300. 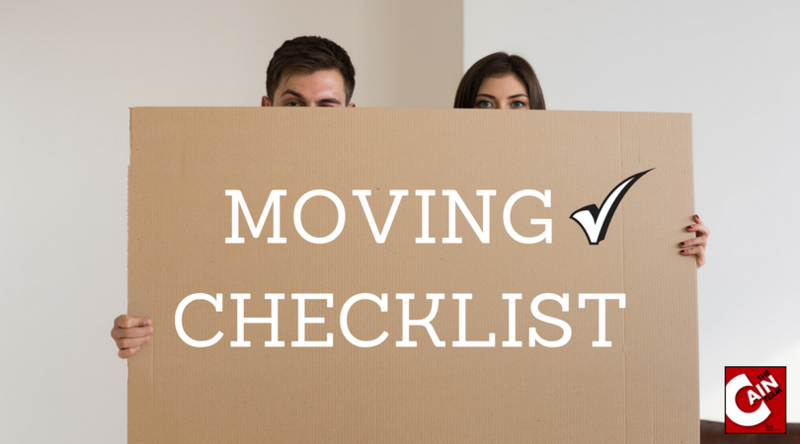 Need some help tackling that move-in checklist? Don't worry Cain Realty Group's got you covered. Head over to our Home Services Concierge for a complete list of our trusted service providers. We understand how challenging it can be to find trustworthy, quality and reliable Austin area home services related companies. In an effort to provide value to our clients, past clients, friends and website visitors, we have compiled an exclusive network of leading service and product providers to enhance and maintain your home before, during and after the move.